Interview: Anton Corbijn, Director Of 'A Most Wanted Man' Anton Corbijn directed Philip Seymour Hoffman in one of his final roles — playing a haggard German intelligence agent in the film adaptation of the John le Carré spy thriller A Most Wanted Man. 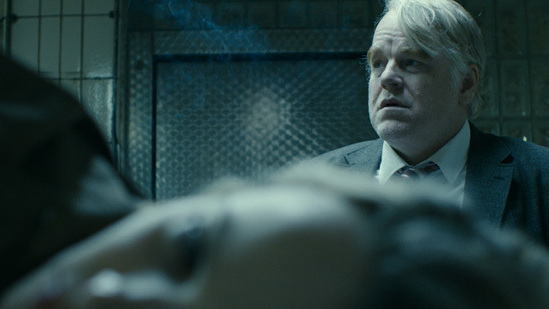 Anton Corbijn directed Philip Seymour Hoffman in one of his final roles — playing a haggard German intelligence agent in the film adaptation of the John le Carré spy thriller A Most Wanted Man. When actor Philip Seymour Hoffman died of a heroin overdose in February, he left behind several unreleased films. His most significant role: The haggard German intelligence agent Gunther Bachmann in the spy thriller A Most Wanted Man. Hoffman's character leads a fictional intelligence unit and is tasked with recruiting informants within the Islamic community to uncover terrorist plots. The film is based on the 2008 John le Carré novel by the same name. It's set in Hamburg, Germany, more than 10 years after Sept. 11. It's a riveting spy thriller, but one without explosions, chases and fist fighting. Director Anton Corbijn says one of his goals was to capture the everyday intensity in the art of spy craft. "People get so used to spy films being like Jason Bourne or James Bond, and of course they make great action films that way, but it's not so close to reality," Corbijn tells NPR's Eric Westervelt. The film comes out at a delicate time following revelations of NSA spying on Americans, civil liberties concerns and Germany's recent expulsion of America's CIA station chief for recruiting agents within the German government. "One of the reasons that I wanted to make the film is that after 9/11 the polarization of the world has taken another pace and what worries me is that we judge people so very quickly as to be good or bad," he says. "[It's] scary, and in the movie we look at a person and think 'if 1 percent of this person is bad does it make the person 100 percent bad?'" Great actors all have their own way of working and their own insecurities, as much as directors have, I guess. So you always have to feel each other out, as it were, when you start working together. But after a while we knew exactly where we were standing, I think. I so enjoyed working with him, and it was such a delight to watch him take on that character. As a photographer I could watch him for hours just smoking a cigarette. Well the physicality is what he did bring to the role. I always wanted the Bachmann character to have a physique not unlike Philip's. And there maybe are some similarities to how he lived at the time, which makes it a little harder to watch for me, knowing that in hindsight. But for the character, it was fantastic of course. Maybe he let some of his own life spill into his character. I'm a very European kind of director and as soon as Americans get involved, my films start to be called "slow." But especially with this film, I wanted the film to have an urgency, so I used a handheld camera. But to step from being a photographer to a filmmaker was harder and [had] much less logic than people assume, I think.